As the college football regular season begins to wind down, most of the games do not mean all that much to the national title picture. 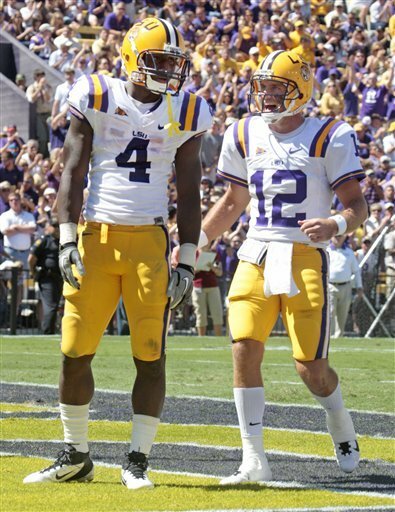 Instead, this game was about the uniforms. We had known for about a week the Irish would be wearing a Shamrock helmet with a different background than the helmets they wore against Michigan earlier this season. 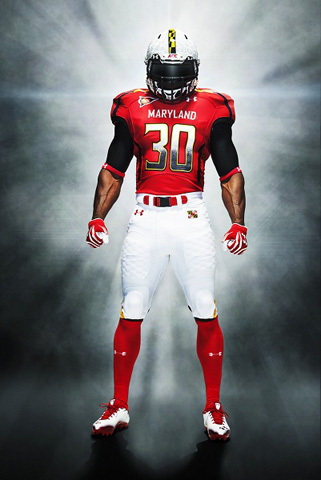 We also found out last Wednesday that Maryland would be going back to their Pride uniforms they wore earlier this season to defeat their only FBS school in Miami this season. 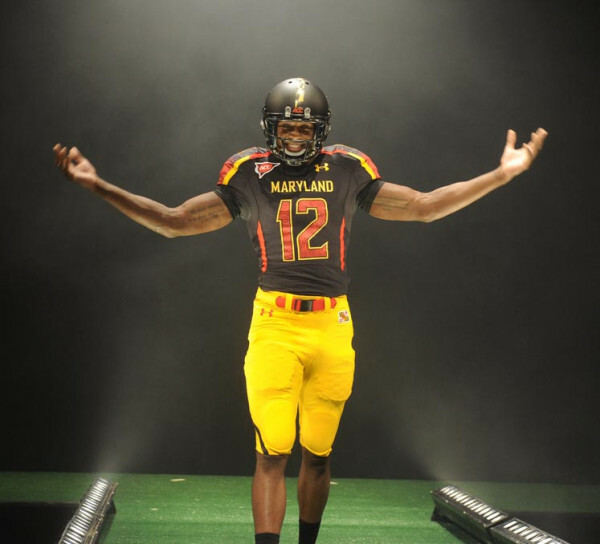 Clearly, most of that Maryland Pride has worn off for a 2-8 team, that got absolutely no lift from these special uniforms. 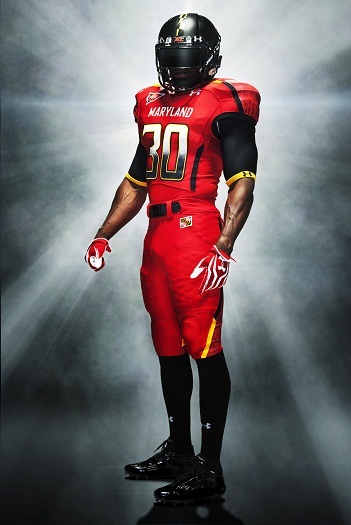 In my humble opinion, special uniforms like these only work once a season, if even that often. 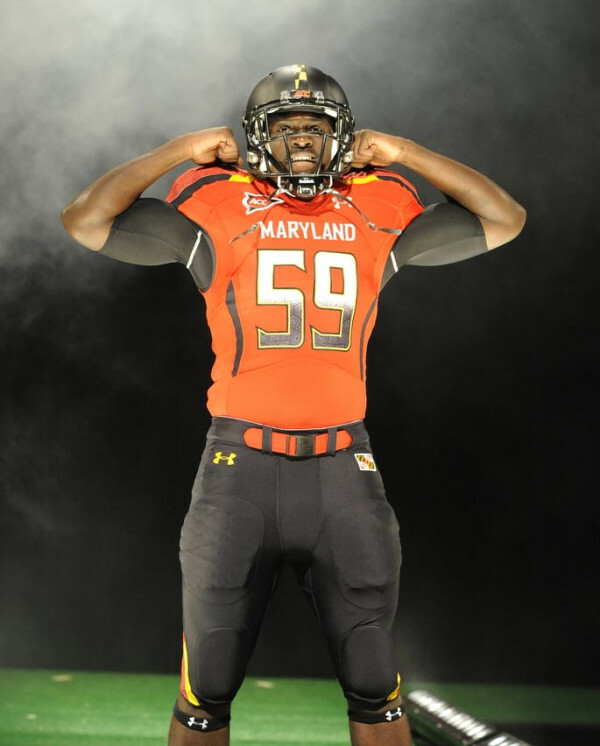 When the Terps came out on the tunnel on Labor Day in those special uniforms, the home crowd got pumped up, and it helped Maryland pick up one of its two victories this season. 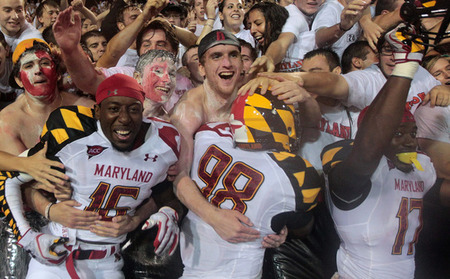 However, Saturday night’s game was more of a Notre Dame home game even though it was played in Maryland. 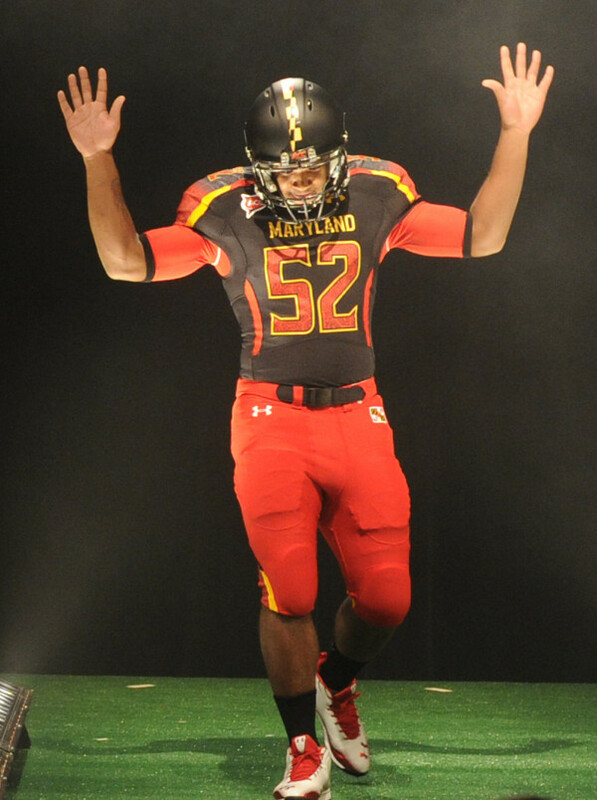 The team is down and if these uniforms are used too often, they will have little to no effect on the team. 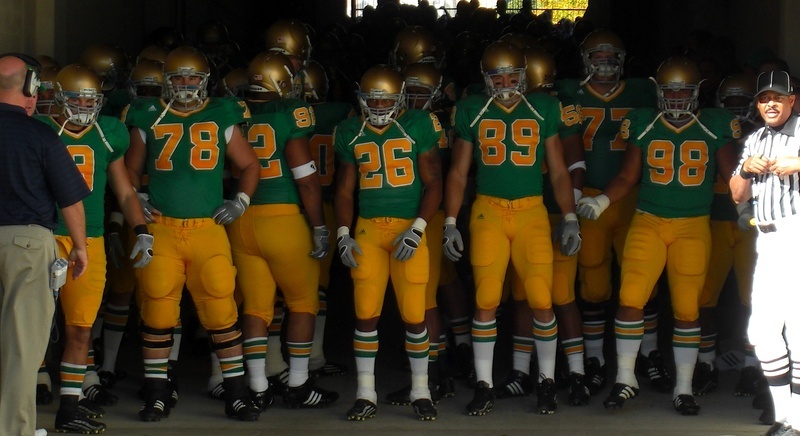 The same goes for the Irish who wore green uniforms last night. 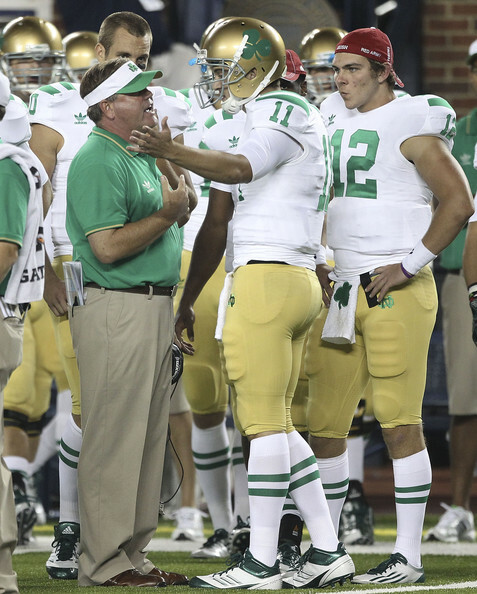 Wearing green at Notre Dame used to be a very rare and special occasion. Usually, this coach would not say anything about the uniforms until the team came out on the tunnel for the game. It was special. After wearing green against Army last season, and again Saturday night, it’s no longer as special. Besides the green, the helmets were a little offensive. 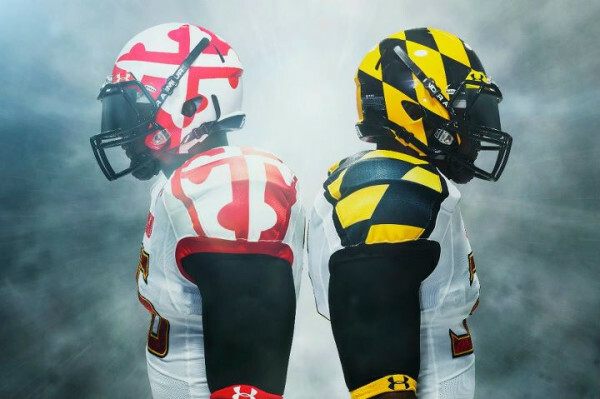 First of all, with the reflection of the lights at FedEx Field, the helmets looked like golf balls. 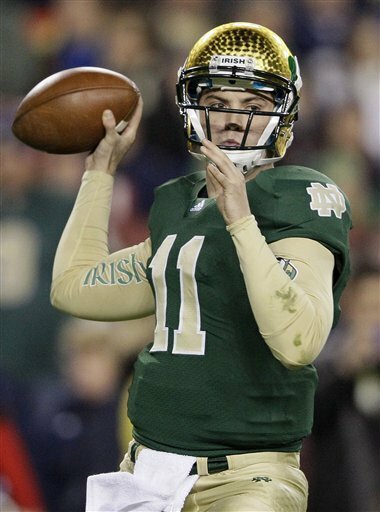 The facemask was also black instead of the usual gray for the Irish. That bothered me. The look as a whole was seemingly very futuristic, a departure from what the Irish are usually all about. 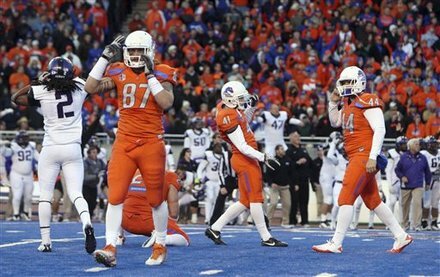 Boise State had some blinding orange alternates in an upset loss to TCU. The Broncos went with these all-orange uniforms before, but this time, they went with a white helmet to compliment it. They looked very strange, and obviously it didn’t help them in the loss. Texas Tech went with a very patriotic uniform for Veterans Day. The stars and stripes on the helmets were a nice touch to go along with the camouflage on the shoulders. Oregon’s uniforms were very interesting for their victory over Stanford. The helmets looked black from one angle, but when the lights hit it in a certain way, you could see the green. The Ducks also chose to have their names on the back of the jerseys in white so it takes ultra concentration to see. That’s weird. 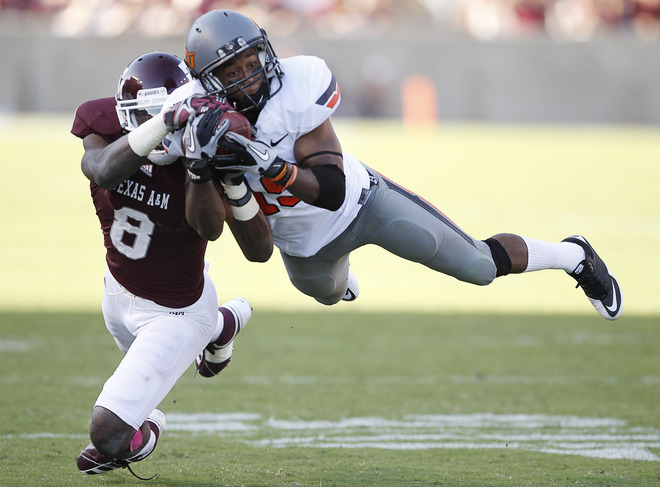 Oklahoma State cornerback Brodrick Brown helped the Cowboys rally in the second half on Saturday with this interception, but they sure looked bad doing it. Photo by Getty Images. Stillwater, Okla., is a different sort of place for someone who has spent the vast majority of his life in the Northeast. In two trips there, I have learned a few things, and here they are. The state of Oklahoma is very flat; apparently using forks to eat barbecue and cake is the sign of a wuss; in life, I should “play the game,”; getting a first down is nearly as exciting as a touchdown; and chief among them … Orange Power. 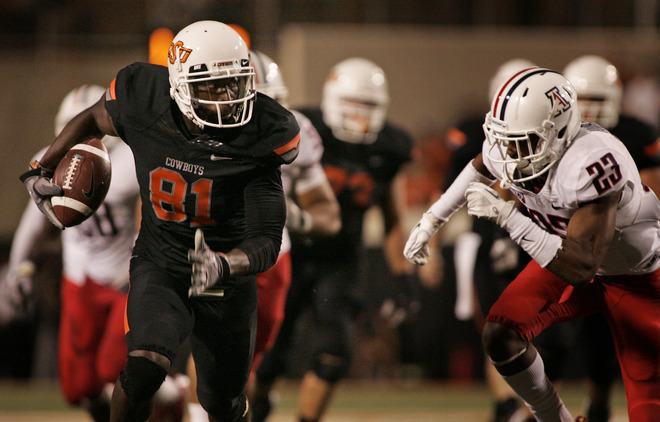 The chant of “Orange Power” reverberates through the stands of Boone Pickens Stadium on most Saturdays in the fall. There are even shirts in the various gift shops, displaying this very phrase, and it all comes from the orange jerseys their beloved Cowboys wear for home games. 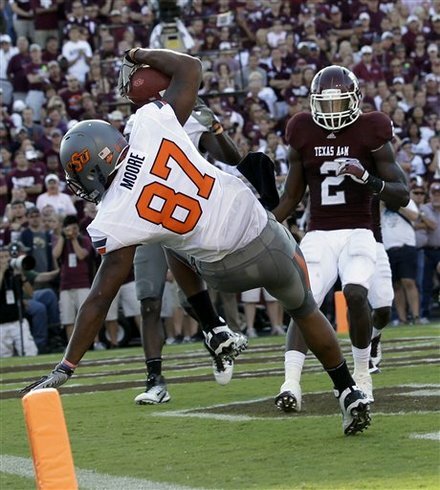 However, this season, it seems like Oklahoma State has abandoned that very concept with their uniforms. The Cowboys did make a roaring comeback to defeat Texas A&M on the road in the game of the day yesterday. OK State could now be on their way to its first Big 12 title, but that doesn’t really matter here, let’s examine their uniforms. Before the season started, Oklahoma State announced they would be introducing a new line of uniforms, complete with this uni-builder. While some of the combinations have their merit (mostly because they include orange), the gray-white-gray combination they went with Saturday was terrible. 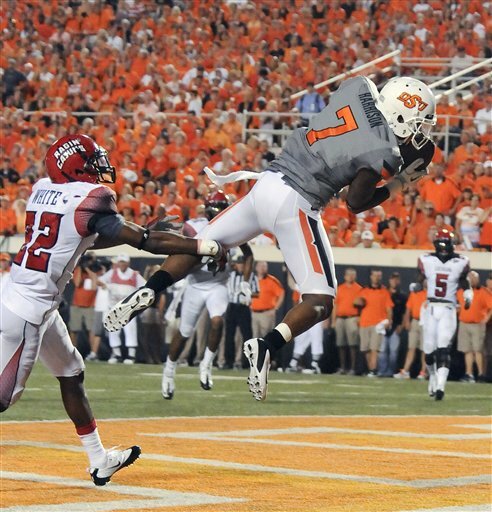 Oklahoma State has seemed to totally abandon orange in their uniform scheme. Granted there was orange in the lettering of the helmet and in the numbers, but it’s not enough. 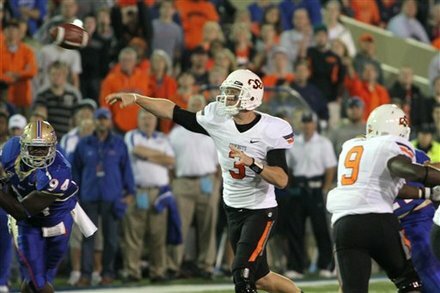 The standard Oklahoma State uniform should have orange shirts for home games and orange pants for away games. This season, the Cowboys have yet to wear orange of any sort in their first four games. The first game saw a gray jersey for a home game, the second, a black jersey for a Thursday night home game, the third, black pants for an away game and then yesterday’s monstrosity. The results thus far have been more than productive, but I have to wonder what the chants of “Orange Power” sound like at Boone Pickens Stadium when the team has clearly abandoned this concept. Virginia Tech resembled the Cleveland Browns in their victory over Marshall. The Hokies went with this same look in the Orange Bowl last season. It’s a little jarring, but overall the look works. 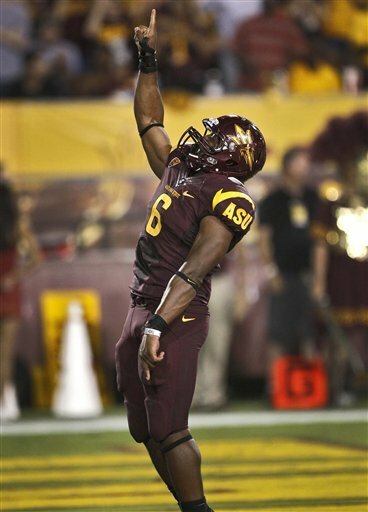 Arizona State continued to change every week, but this week’s ensemble was more of a return to their usual color scheme. It certainly worked as they dominated USC for a huge Pac-12 victory. Oregon went back to what could be considered their standard road uniforms of white shirt and green pants with a green helmet. The Ducks must have read this blog where I begged them to go back to a green helmet at some point, much appreciated. 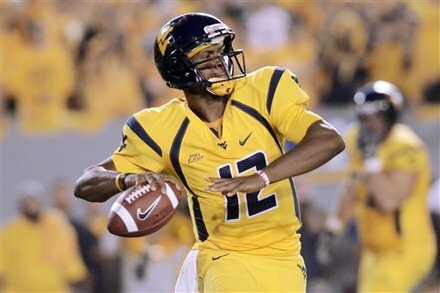 West Virginia’s all-yellow look was fine, and it seems like the Mountaineers might be going with the yellow shirts as a permanent look since that is all they have worn at home so far this season. Just no yellow helmets please. Staying in the Big East, I like what South Florida is doing this season. Saturday’s look was no exception. 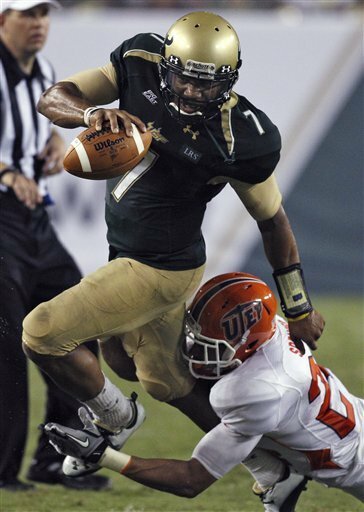 It was a good idea to go with black on gold pants and the gold helmet. Definitely looks better than the white helmet. 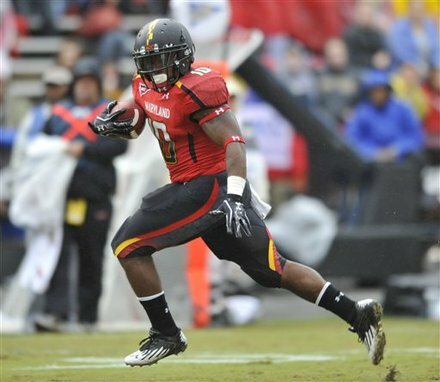 I sure was wrong about that Maryland game. Those yellow jerseys should be thrown away after the debacle against Temple. Bernard Pierce ran all over them. Lastly, I’m going to miss these all-blue Boise State jerseys. 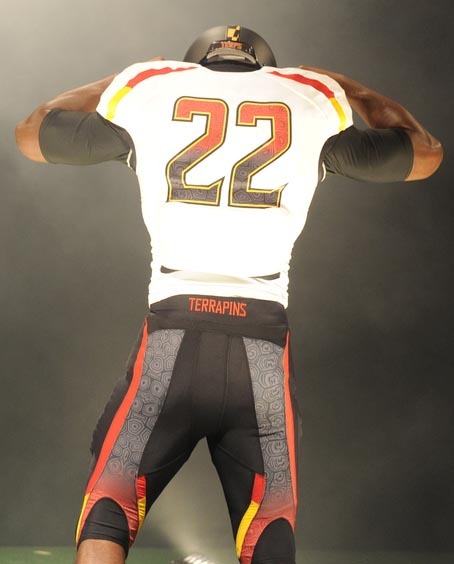 Once they get into Mountain West conference play, they will not be able to wear these against the blue turf in Boise.